We are a small family-friendly club established in the early 1960’s by a group of enthusiastic skiers, and to this day it has always been run by the members for the members on a non-profit making basis. MWSC has always been proud of its broad spectrum of abilities on the water, with members specialising in a variety of disciplines, including Slalom, Trick, Wakeboarding, Barefooting and Kneeboarding. You will experience a very warm welcome with lots of encouragement as you gain the experience in your chosen discipline. Failure is not an option as the members will not give up in their commitment to support you to overcome your nerves; so everyone can experience the thrills awaiting you. You too can enjoy Slalom, Trick, Wakeboarding, and Wakeskating & if you’re feeling really adventurous, even Barefooting. *Subject to weather conditions and demand. 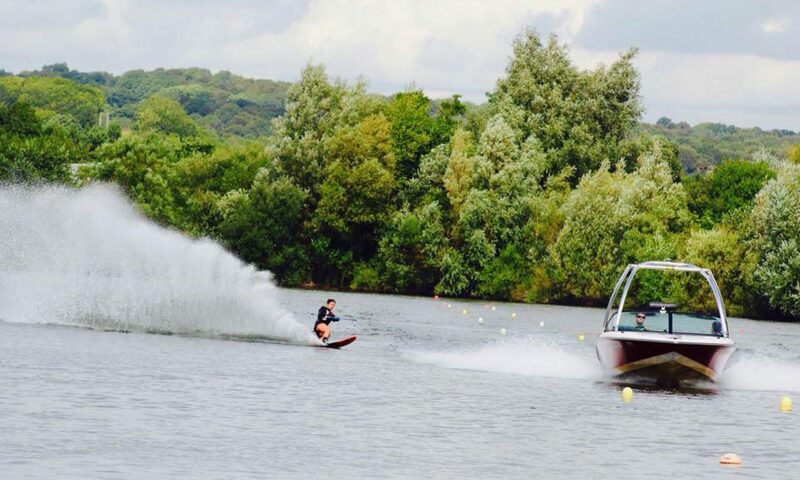 A fantastic experience for all at Marlow Water Ski Club. We are a group of enthusiastic skiers & boarders where the club is run by the members for the members on a non-profit basis. MWSC has always been proud of its broad spectrum of abilities on the water with members specialising in a variety of disciplines including Slalom, Trick, Wakeboarding, Barefooting and Kneeboarding. Our boat was updated in 2015 with a closed bow 200 Ski Nautique with a 6 Litre engine and ‘Zero off’ speed control. All you need to remember is your swimwear, towel, sunscreen and maybe something to throw on the barbecue!